The 24" inch bench model press comes complete with footer holes pre-drilled to accommodate stable production mounting. 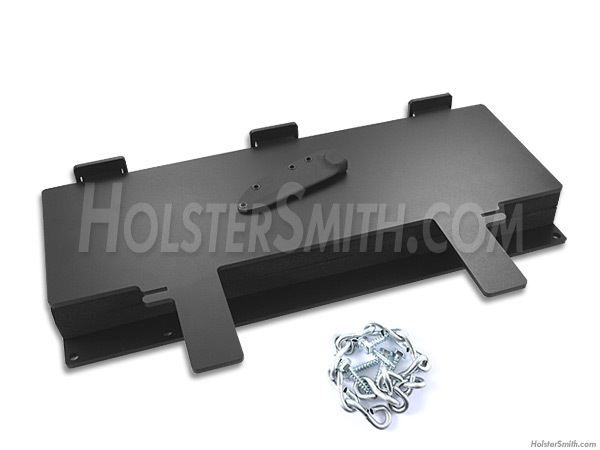 The top plate has a channel locking system to allow you to lock it down in place. Then you can walk away and do other jobs while your KYDEX®, HOLSTEX® or BOLTARON® sheet material is cooling into final form.